In the spice plantation in Wayanad, different types of spices are grown in various sections of the plantations. It is a beautiful district in Kerala which has a scenic landscape and beautiful hill stations. In these places, we can find various old tribes which are not yet civilized. There are various tourist spots here such as the Wayanad Wildlife Sanctuary, Lakkidi, Thusharagiri Waterfalls, etc. The land is very attractive and this plantation has crops such as coffee, tea, cardamom, pepper and rubber. All these make this place worth to see. The hill backdrop of the cardamom plantation in Wayanad is very beautiful. 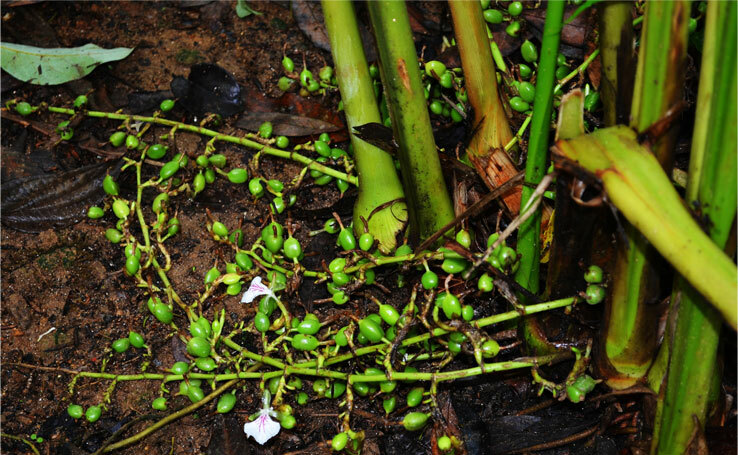 The main cash crop of this area is the Vanilla crop. Together various other crops are also cultivated. An important feature of Wayanad is the coffee based farming. Here, coffee is cultivated either alone or as a mixed crop with pepper. The black pepper cultivated here is very famous for its quality and aroma.